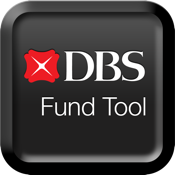 DBS Bank (Hong Kong) Limited (“DBS Bank”) has powered up the invest•wise Fund Services in joint forces with global fund research authority Morningstar, helping you to gain unique insights to grasp hold of global investment opportunities! 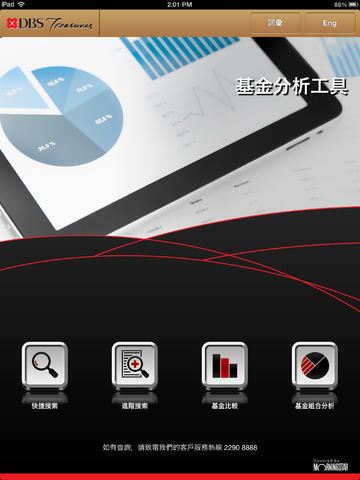 • Quick Search lets you screen and rank funds in the Morningstar database with just a few clicks. • Advanced Search enables you to search your target funds with various screening criteria. • Funds Comparison allows you to compare the data and information, including fund features and performance, of up to 5 selected funds simultaneously. • Fund Portfolio Analysis provides multi-perspective analysis of your self-defined portfolio with as many as 10 selected funds and allocation weightings in support of your shrewd investment decisions.